The watch can be also be spotted on the poster. 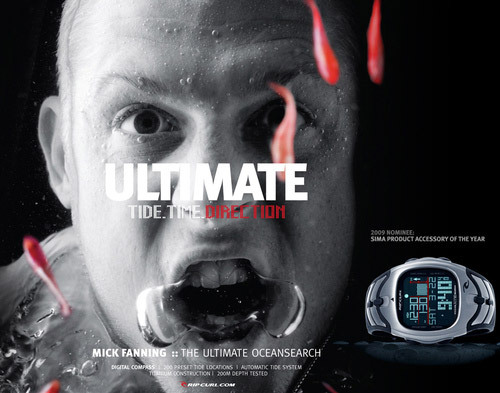 Australian surf champion Mick Fanning in an advertisement for this exact watch. The movie is not rated very high but the watch is quite nice. This multifunctional watch, case width 45mm, features automatic tide system, compass, preprogrammed tide function, alarm, stopwatch, dual time, light, countdown, timer, preprogrammed moon phase. 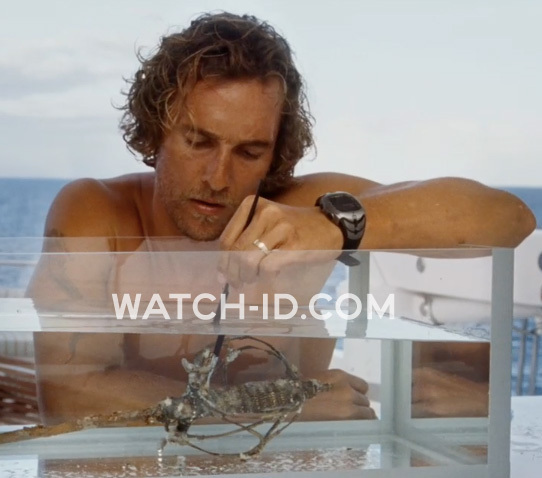 In the movie, the watch has a negative screen, but the watch is also available with a 'normal' positive screen (black numbers on light background). 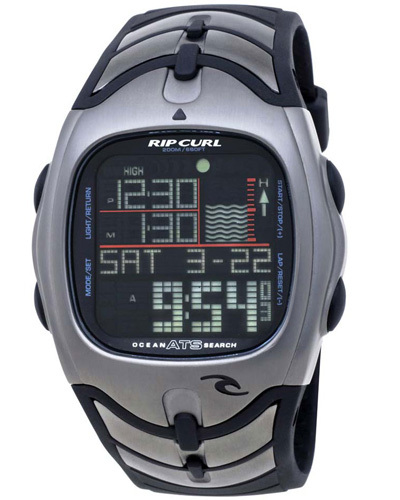 An advertisement for this exact watch (see image on the left) features Mick Fanning nicknamed "White Lightning", an Australian professional surfer and dual world champion. You can still find these watches on Amazon.com and eBay.com.